‘We don't believe anyone who is truly aware of what is going on in the world would want to turn their heads and support a slave trade economy’. Fashion video for Kowtow. Filmed and edited by Michael Yuri Chard. Styled by Sadie Sapphire Hair & makeup by Mara Schiavetti. Model Svete Matiunina @ IMG Music: Castle by Halsey. Today, the future of fashion design is in the hands of young passionate artists, refusing to compromise their integrity for the bottom line. 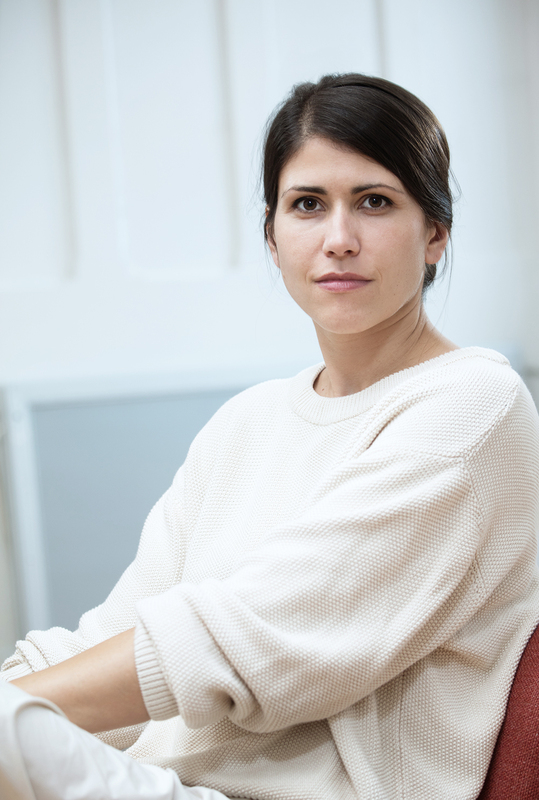 A decade ago, the idea of starting a company that was 100% sustainable seemed an impossible goal, but that was before young designers, such as Gosia Piatek, attempted and succeeded at doing just that. 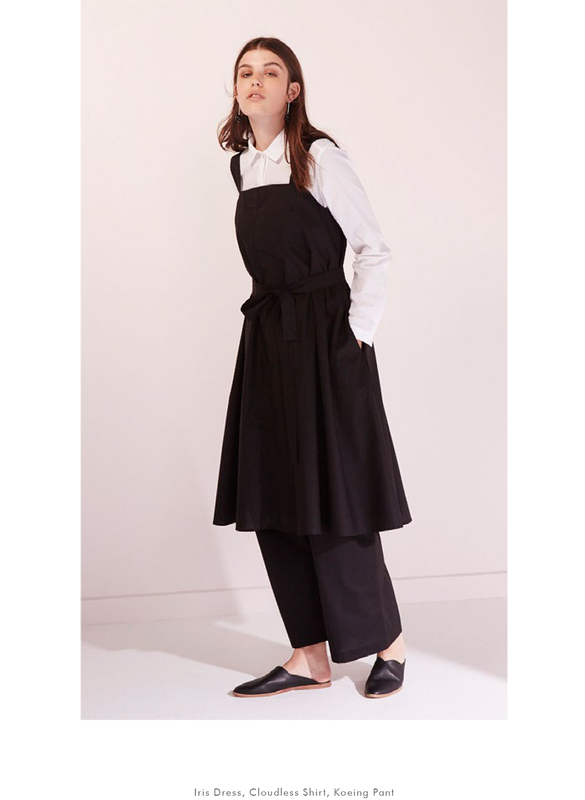 Gosia Piatek’s fashion house, Kowtow, is proving that competing with High Street can be done - with the use of elegant graphic silhouettes, a minimalist approach to design aesthetic, 100% organic materials and zero waste, plus an unshakable stance on fair trade. Gosia Piatek, the founder of Kowtow, has two countries she calls home: New Zealand, her place of birth and London, her adopted home. In an interview with Piatek, her voice is that of a spirited young entrepreneur, juggling motherhood while holding the post as the CEO of a fast growing design house. Admirably, Piatek insists on the utmost transparency in each and every detail of her company’s production process. All of Kowtows designs are made from 100% pure organic cotton, sourced and harvested in India, and designed in New Zealand. and designed in the UK. Her approach, seed to fashion, is setting a new standard for sustainable designs in the fashion industry. The seed to fashion approach starts with buying directly from organic cotton farmers; monitoring the process of harvesting, yarn spinning, and dyeing; and finally bringing the fabric back to New Zealand for design and production. While chatting with Piatek, I learned how she achieved success and how she stays at the head of the game by practicing the art of not compromising her core beliefs. AGB: What would you say is the hardest part of a sustainable production process? GP: I would say the waiting time. It takes a year to get our collection ready because we design the fabric from seed. It’s a really long process, and sometimes I think I’m crazy, but I feel it’s worth it. There are many different hurdles that we confront in the design process because we are not working in a traditional way. For instance, we only use organic cotton and and use ethical and sustainable trims, such as our buttons which are made recycled hemp in Italy. We don’t use zippers, so we are always in discussion on how to make and engineer new ways of doing things. But these are unique processes for us. It doesn’t mean to say that everyone should work in this exact way, but I think that if you’re not a sustainable designer, it shouldn’t be very hard to introduce some sustainable elements into existing designs. There’s just so much available now through their local merchants. Also, it’s difficult staying competitive against High Street. You have to be unique; you need to stand apart. AGB: Do you find that London has more of a market for eco and sustainable designers ? GP: I think there’s always been a market for the traditional. Like Scottish wool, farmers who have been doing things in the same manner for over 200 years, only now it’s trendy. Margret Howell is a great example; she manufactures locally. Her designs are timeless and she tries to keep true to the British heritage. AGB: Who are a few of your favorite designers? GP: I love The Row aesthetic, their fabrics are so luxurious and I love their oversized cuts, I also like their choice of models which aren’t always very young. I also admire some of the big fashion houses who have managed to retain a very high level of quality and craftsmanship over a very long period of time such as Hermes from Paris. AGB: A lot of sustainable designers are forgoing seasons and putting out collections a few times a year. Do you design for the seasons? GP: We put out six drops a year, and 180 designs every six months. We just finished a four-day photo shoot and I saw how many styles we had, and it blew my mind. I want to put out a message that you can be a sustainable and ethical designer and still keep up with the mainstream and put out four to six collections a year. You can keep your basic design blocks and change various elements and colors without trying to reinvent yourself every season. AGB: You have done runway in the past, is this something you want to keep doing? GP: We have done them, but there’s a lot of effort put into runway shows, so I’m not sure it’s worth it for us. For the media, we do smaller showroom events, and then I can actually meet with the media one on one and tell our story: that we’re from New Zealand and we’re 100% sustainable, which is sometimes overlooked for larger events. For the past two years Deloitte Fast 50 awarded us as a top fifty fastest New Zealand growing company, and we are now in the third year running. Runway shows make the clothes look beautiful, but we do that with our shoots - we spend four days on each shoot while most designers spend only one day. We put a lot of effort towards making each image seem more like a campaign. AGB: Where can people find Kowtow, how global are you at the moment. GP: Well we're in New Zealand and Australia, America and Europe. Japan also thats relatively new. Worldwide trade is very interesting. I’m still learning because I’m still a young designer. We have two factories in India; they work with a sustainable and ethical production chain from seed to garment. The product is then sold worldwide by agents in Italy, Copenhagen, New York, and Tokyo. We also have our own showrooms in Australia and New Zealand. I actually want to take three weeks off in November, so I can to go and spend time with the farmers to make sure that they are being looked after, but also to reignite my own passion by connecting with small local makers. Once, I asked some of them why they farmed organically? I guess I just wanted to know their reasoning. They said, it was healthier for them, plain and simple. They didn’t want to work with toxic chemicals or expensive Monsanto seeds - paying more for Monsanto fertilizer than they could possibly afford. I have heard of news reports on that kind of stress being behind an increase in suicides among Indian farmers. The older I get the more I realize how complicated everything is and that trade is an extremely complicated topic. We are trying to do world trade by importing from India and exporting worldwide, but how do we do that in a gentle manner, while still doing it in high growth and high volume? Sometimes, I wonder if the two can be possible. I also want to be sure to enjoy what I do and not only think of profit. I don’t want money to be the only thing driving me, it’s not who I am. AGB: New Zealand is very pro-environment. What’s your earliest recollection of your own passion for the environment? GP: Every since I was small I had a passion for the environment, I think a lot of it came from extensive travel, realizing the beauty of this world but also the affect our growing population and poor leadership is having on the planet. My earliest recollection is of taking a hike with my mum while on the hike, I began to collect other peoples’ trash off the forest floor. My mum asked me what I was doing. I said, ‘Well, we need to pick this up and put it in the garbage!’.